There's a phrase in Japanese culture for describing the condition of having just moved into a new apartment or home. This phrase is "Hikkoshi Bimbou" (引っ越し貧乏) which means "impoverished because of moving." After reviewing the contract documentation from our apartment rental agent and paying the final amount due, I have come to understand what this means as the bottom line was a bit shocking. Furthermore, this is further amplified for someone who has just moved into the country. So why is this? Why is moving so expensive that this phrase has made its way into the common vernacular? Well, let's take a look! When moving into a rental apartment, these are the typical expenses that a new tenant faces. 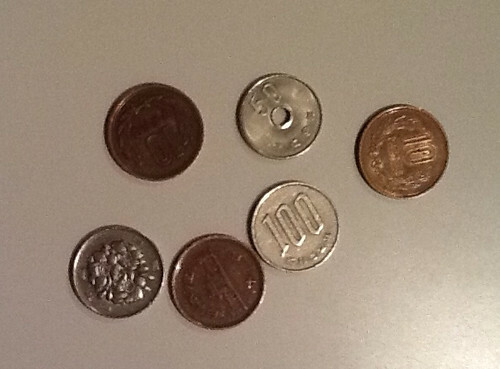 Gratitude Money, which is sometimes referred to as "key money" by foreigners in Japan (礼金 Reikin) - the word 'rei' literally means thanks or gratitude. This is an unfortunate tradition that has its roots in post World War 2 Japan when housing was scarce, and people gave money to the property owner as a sign of gratitude for being given the opportunity to live there. More than half a century later, when empty apartments outnumber prospective tenants, this is custom that probably should (but is unlikely to) be forgotten. Gratitude money can sometimes be as high as one month's rent, and is a non-refundable "gift" to the owner. There's pretty much no getting out of this. Rental agent fees (仲介手数料 Chūkai tesūryō) - this is not so unaffordable, but "everything adds up" as they say. In Tokyo, one does not just go walking around looking for signs that say "For Rent." It's just not way it's done here. Prospective tenants all work with an agency, so it's just another one of those things that is to be expected. There is a positive side to this, which is that the agent does all the work for you, acts as a liaison between the owner and the renter and, as goes without saying in Japan, provides top rate customer service. Refrigerator (冷蔵庫 Reizōko) - this will probably come as a surprise to my friends and family from the Chicago area, but apartments in Tokyo do not come with a refrigerator included; tenants must bring their own. This is probably not that big of a deal for someone who is moving from one apartment to another since they will just move their fridge along with the rest of their things. My wife and I do not own a refrigerator, however, so we will very soon go out shopping for one. When all is said and done, moving to a new apartment costs about 1/2 year's worth of rent all at once. So, therefore, Hikkoshi Bimbou is exactly what my wife and I are experiencing right now. 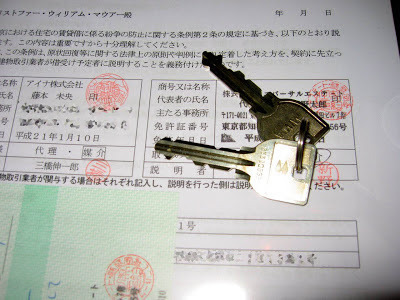 In part 1 I described the need for tenants to have a co-signor, otherwise known as a 連帯保証人 (rentai hoshounin), or "guarantor." As it turns out, finding a guarantor is not at all easy for anyone that has no Japanese family members with full-time employment. For this very reason, there are guarantor companies (保証会社) which make it their business to provide guarantor services for a (rather hefty) price. Since this turned out to be our only viable option, this is the route we went..... until .... something unexpected happened. The property owner seemed to like the fact that we (and by 'we' I mean my wife) were so punctual and thorough in our completion of the paperwork and documentation. 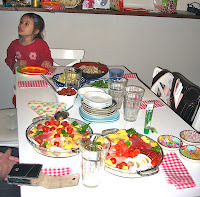 So it was decided that we did not need a guarantor after all, and that my wife could play the role of guarantor for me despite the fact that she is still looking for work. What luck! This not only demonstrates that the owner is making a gesture of trust, but also saves us a big chunk of money! So far, a considerable amount of time and effort has gone into this process, but the experience has not been overly difficult or harrowing. The fact is that there are certain details and requirements which must be met before one can legally proceed with moving to a new address (especially for someone like me who has just moved into the country), so the best thing to do, obviously, is to accept that and do whatever needs to be done. So far, my wife and I have updated our marriage status on her family register, registered our current (although temporary) address with the local government, registered our hanko with the local government, opened new bank accounts and of course provided the rental agency with documentation and information. As a side-note, I honestly don't know how people with little to no Japanese language skills manage to get by, because even though I have some skills, mine are still very limited to the point where I find all of these legal documents to be very intimidating and difficult to understand. I don't know if I can thank my wife enough for all she's done and continues to do. OK so now for the best part! Saturday morning, all of the time, effort and investment paid off and we completed the process by reviewing the contract with our rental agent, stamping the documents with our hanko, and receiving the keys to our new home!! Over the next 2 or 3 weeks we'll gradually move in on our own schedule. Yeahhhh!!! We did it! We still have a lot to do before we can consider ourselves settled in, but we're clearing the hurtles, one by one. 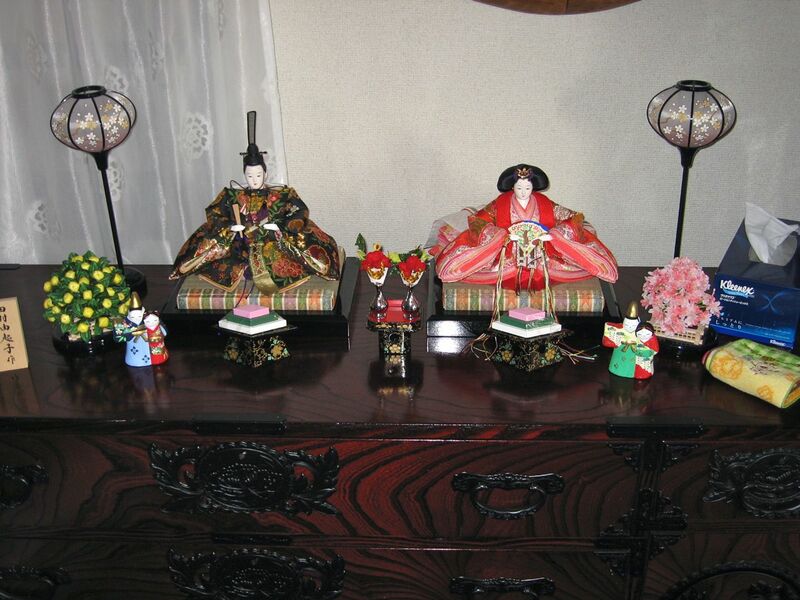 Today is an annual festival day known as Hinamatsuri (ひな祭り) "Dolls Festival", commonly known as "Girls' Day." Historically speaking, the origin of the festival is not entirely clear, but most certainly began over 1,200 years ago with historic records dating back to the Heian period (794-1192 A.D.). The name of the festival itself is "Hina" which means young bird, or chick**, and "Matsuri" which of course means festival. 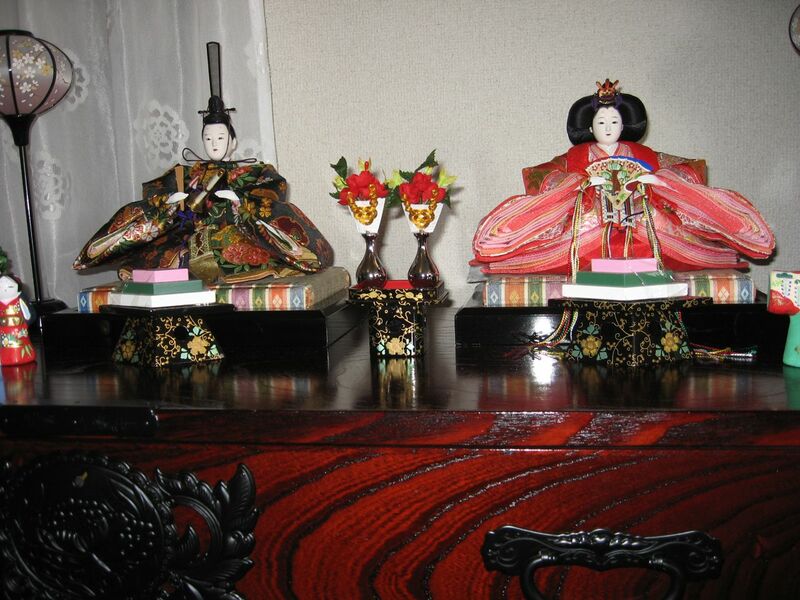 Traditional dolls, known as "Hina-ningyō" (雛人形) are displayed in the homes of families who have daughters. The dolls wear traditional clothing of the royal court of the Heian period. Traditionally, the dolls are displayed on a multi-tiered platform that's covered with red cloth, but these days, displays in different homes can vary significantly. The dolls you see pictured above are displayed in the home of my friend Kayoko who is the mother of two young daughters Nina and Rianna. As you can see, the dolls are quite elaborate, exquisite and beautiful. This was not the case when the tradition first began, however. Originally the festival was celebrated by making paper dolls and floating them down a local river. The reason being that the dolls have the power to contain impure spirits and carry them away from the family thus preventing calamity. The dolls of modern Japan have the same power, so it is important to pack and store the dolls away immediately after the festival is over. In fact, it is said that leaving the dolls on display past the close of the festival may result in late marriage for the daughters. The dolls are purposefully arranged and the arrangement depends largely on one's home region. Of course there are also certain foods associated with Hinamatsuri, such as chirashizushi and snacks such as Hina-arare (雛あられ brightly-coloured, sweet, puffed rice snacks) and kompeitō (金平糖 sugar candy) and other treats (kompeitō pictured here, top left. Photo on the left courtesy of my friend, Miho). 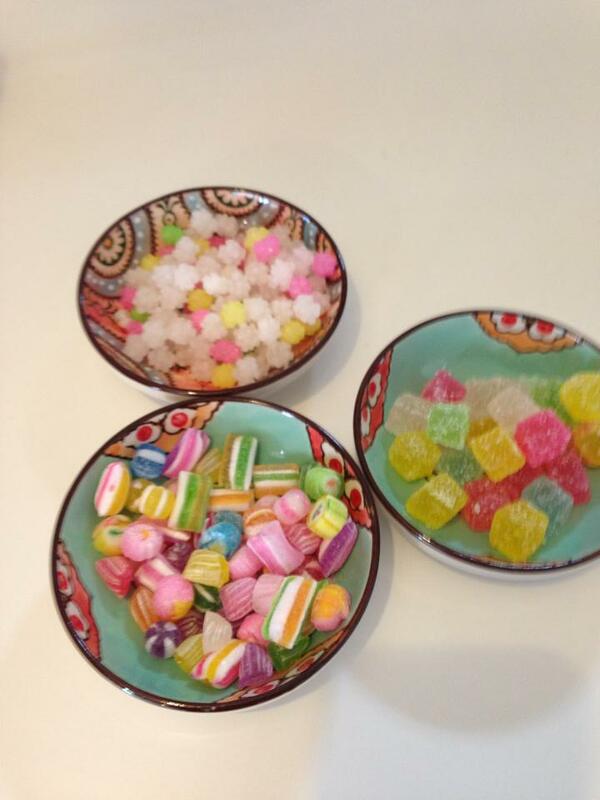 Another snack known as Hina-mochi (雛餅) and special rice wine called shirozake (白酒) are also often part of the custom. 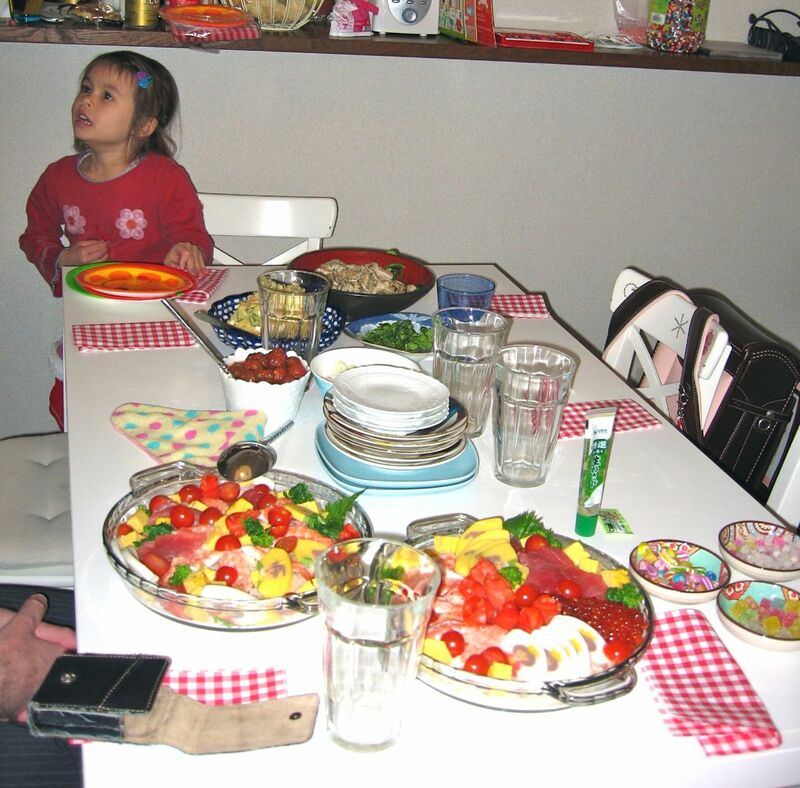 Traditions aside, Hinamatsuri in modern Japan, especially when young moms are involved, is by and large a true "Girls' Day," and gatherings are akin to what's known as a Joshikai (女子会 literally, "girls gathering"). In the west, such gatherings are similar to a "girls' night out" or other such ladies'-only events. As such, it is unusual for a guy to be invited to the festival and I suspect my presence at the festival in my friend's home may have been the first time a guy was in attendance. I did my best to help out at the party yesterday, and I was told that my guys' insight (男心) was valuable. (^_^) I definitely had fun and I'm very thankful to my friends for inviting me.